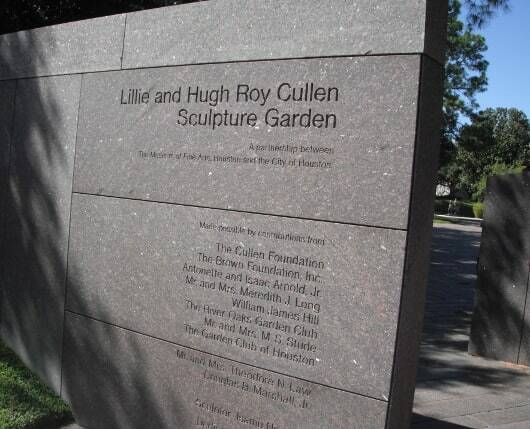 The Cullen Sculpture Garden is across the street from the Museum of Fine Arts Houston, on the corner of Bissonnet and Montrose. The garden is free to the public and open daily from 9:00am-10:00pm. If you go on a Thursday, the museum is open all day for free and you will have access to the park, the museum, any events that are going on and the bathrooms. 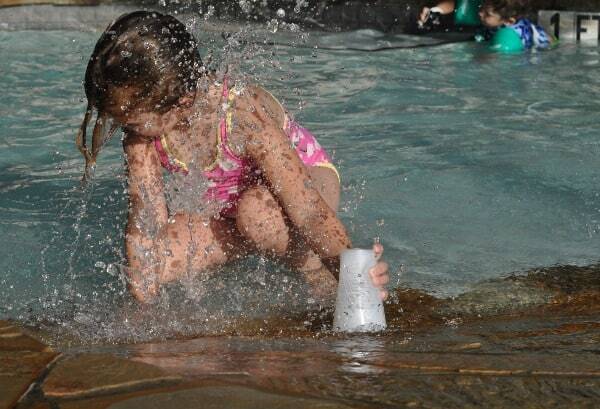 This park can be enjoyed by all ages. 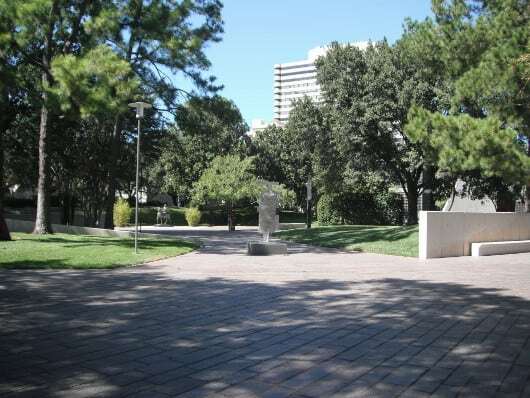 There is no playground equipment, but a lot of green space and sculptures, right in the middle of the city. The garden is fenced off and you may forget you are right on Montrose Boulevard. There is nothing to climb on, but it is a great spot for a picnic. When we went, there were a few other groups having a quiet lunch. There were no eyes from the street, which usually makes me nervous, but the other groups and a security guard mad me feel safe. The one comment I will make is that the security guard was very nice and also very sure we were going to do something bad to the sculptures. He stayed very close. He wasn’t really wrong. We’ve broken a few things in our past, but I’m pretty sure the sculptures, that were 10 feet away from the sidewalk, were safe. But then again, he probably read a post about baby James climbing a wrought iron fence. 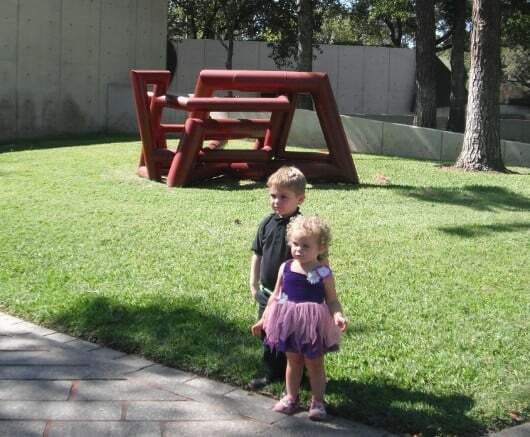 Still, we recommend you check out this free part of the Museum of Fine Arts Houston. It really is peaceful and I am really sure the guard was just doing his job. We’ve been back many times since and have had a great time. Especially on Free Museum Day Thursday! Congratulations to the Winner of the $15 Brazos Bookstore Giftcard!